(FinalCall.com) - As news articles and media reports are replete with stories of people across the globe targeted and killed because of their religious beliefs and groups like ISIS killing Christians, Min. 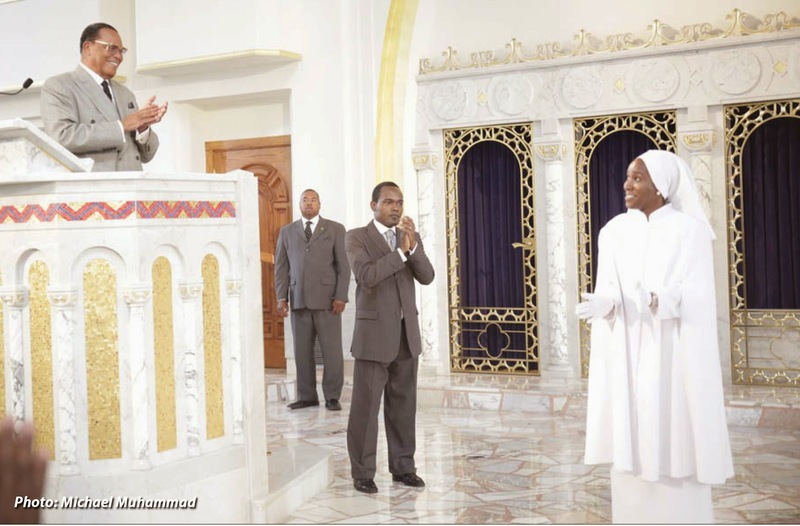 Farrakhan used a selfless act of a Muslim sister to demonstrate true principles that should be exhibited by Believers in God. The Nation also does not follow the old world of what is called Al-Islam, he added. He called Nadirah Muhammad to the stage and used her as an example of what Muslim love for Christians truly is. Nadirah Muhammad is the daughter of Abdullah Muhammad and Sister Captain Emeritus Karriemah Muhammad, who now reside in Atlanta. Sister Karriemah assists Mother Khadijah Farrakhan. Nadirah Muhammad is a physical education teacher and heath instructor at Westside Academy High School in Detroit. She decided to donate a kidney to one of her students, 18-year-old Aja Booth. The teenager had been on dialysis treatment for four years and had been waiting for a suitable donor kidney for a year. While her student is still in recovery after receiving the kidney and having an additional appendectomy, Nadirah Muhammad said young Aja is doing well, and due back to school in March.